The facelift version of the Honda Brio is all set to be launched in the Indian market on October 4, 2016. The new Honda Brio was first unveiled at the 2016 Indonesia Motor Show. The Honda Brio was launched in 2011 and this is the first time the model will be getting an update in the form of a new design and new features. The new Brio will have new additions as the Indonesian spec model. It has got a new front bumper with a larger profile, a new single-slat radiator grille similar to the new Amaze. The rear portion is almost unchanged except for the chrome strip on the tailgate, spoiler and LED Stop Lamps. There are also expectations that Honda might launch a sportier looking RS version with a 15 inch dual tone alloys, badges and side skirts. The cabin layout of the new Honda Brio has the same feature list as the 2016 Amaze. As there are no changes in terms of the dimensions, the Honda Brio facelift will have the same amount of headroom, legroom as well as shoulder room. 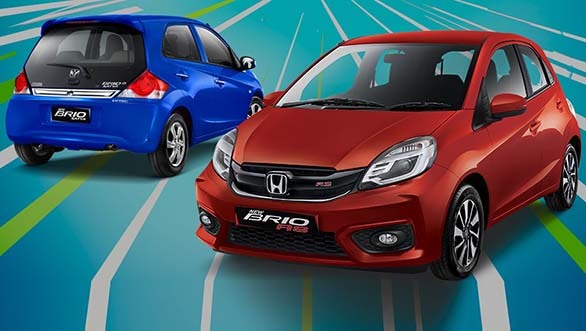 At present Honda will be offering the Brio with petrol version only. The Indian dealers are offering a discount of Rs. 22,000-25,000 o insurance and accessories offered on Brio.